Sarah Stern, founder of president of the Endowment for Middle East Truth, or EMET, a pro-Israel group that has condemned Omar for promoting anti-Semitic conspiracy theories, told the Free Beacon that the private nature of these events before controversial Islamic groups is very concerning. One veteran Republican political operative expressed concern about the secretive nature of these talks, telling the Free Beacon that Democrats must hide behind-closed-doors to appease these groups with anti-Israel rhetoric. After last month’s Islamic Relief event, Stern’s EMET and many other pro-Israel groups penned a letter to Democratic leaders in the House demanding Omar’s removal from the powerful House Foreign Affairs Committee. 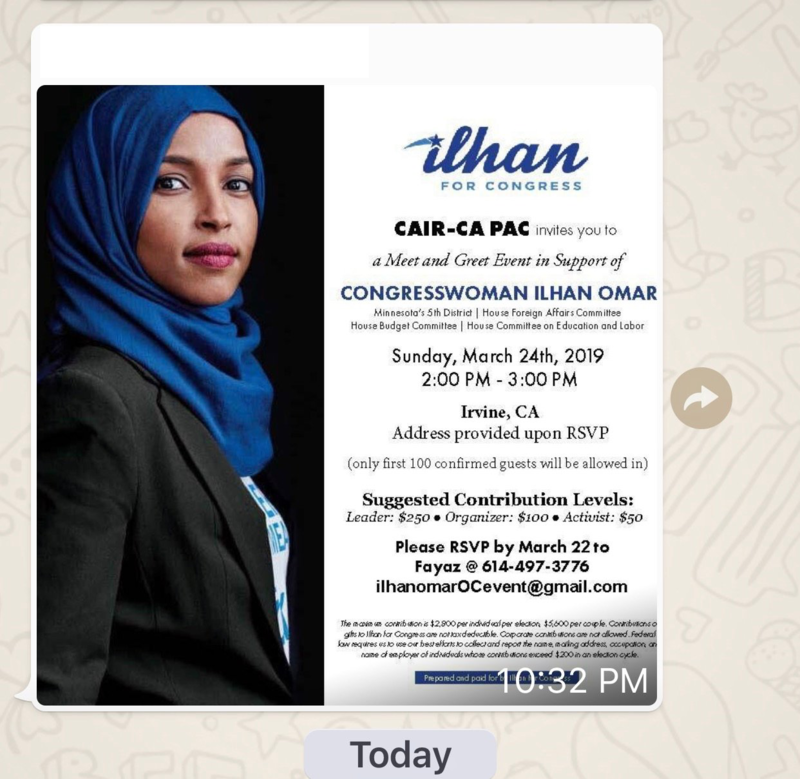 These groups argued that Omar’s anti-Semitic rhetoric and secretive meetings should disqualify her from a seat on that committee, which oversees the U.S.-Israel military alliance.